Welcome to the Crispy Cupboard! I am the proud owner of a drool-worthy stash of organic leeks, courtesy of my CSA share. They are beyond doubt my current obsession. 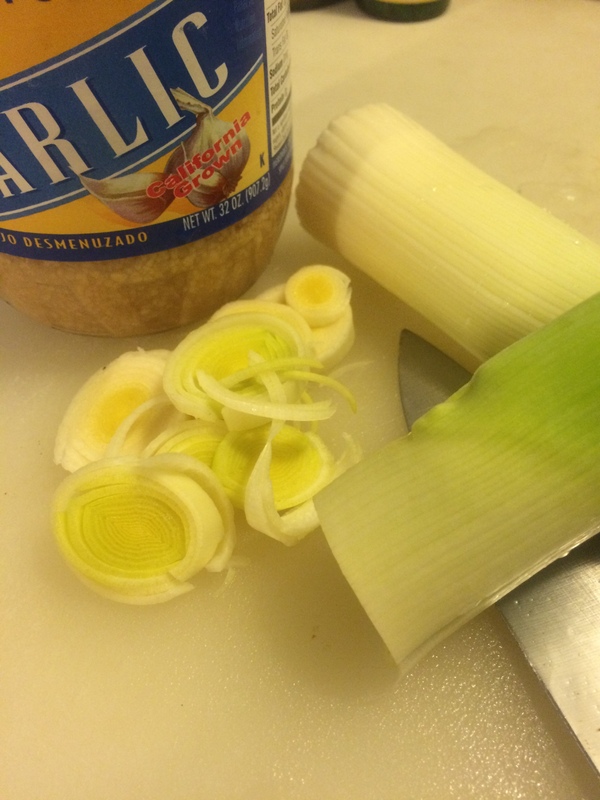 Leeks are the super-model cousin of the familiar onion: slender, elegant, and irresistible. Together with some simple spices, they are the star of today’s dinner feature: a one-pan salmon bake that you can throw together in 5 minutes. All you need is 7 ingredients, a baking dish, and a cutting board, and you’ll be on your way to a fragrant, savory omega-3 extravaganza. If you think you don’t like salmon, this recipe may convert you. Email updates: sign up and follow me! Don't miss a thing: get my freshest posts in your inbox! You've made it to freedom. Here's your guide to navigating the world. Throwing teapots. Yes there is such a thing as Tesseracts.